According to the American Heart Association, heart disease, which includes coronary heart disease, hypertension, and stroke, kills more Americans every year than any other medical condition. In fact, coronary heart disease is responsible for 1 in 4 U.S. deaths annually, and more than 610,000 lives. The term, “heart disease” actually refers to a whole host of conditions affecting the heart. These include diseases such as, blood vessel disease, coronary artery disease, congenital heart defects, and heart arrhythmias. Sometimes “heart disease” is used interchangeably with the term, “cardiovascular disease” that involves narrowing or blocked blood vessels that could lead to a heart attack, angina, or stroke. Coronary artery disease is one of the cardiovascular diseases and the most common type of heart disease in the United States, caused from the build up of sticky plaque in the arteries of the heart that can restrict blood flow through the muscle. It is also known as ischemia. This may occur over time and become chronic, affecting one area of the heart, or happen suddenly with a plaque rupture that results in a clot or thrombus. Plaque caused by cholesterol deposits and other waste substances then forms in damaged areas. This is known as the development of atherosclerosis. There is evidence that by the teenage years, those plaques that will be with us for the rest of our lives may already be present. Cholesterol is necessary for every cell in the body. Too much bad (low density lipoprotein or LDL) cholesterol creates sticky plaque, however. Heart rhythm dysfunction or “heart arrhythmia” is also classified as heart disease and caused by malfunctioning electrical impulses, necessary to properly coordinate the beats of the heart. Heart arrhythmia causes the heart to beat either too fast, too slow, or irregularly. It is possible that patients with heart arrhythmias exhibit no outward signs or symptoms of a heart condition at all. An arrhythmia that is fatal is very unlikely to ever develop in a normal healthy heart, free from disease or deformity. Without some serious outside trigger such as, electrical shock or drug abuse that damages or scars the heart tissue, electrical impulses can travel properly through the heart. Individuals with specific medical conditions that weaken the heart are at risk for heart arrhythmias. Congenital heart defects are the most common birth defects, affecting 8 out of every 1,000 newborns. These heart defects affect the normal flow of blood through the heart and are present at birth. They affect the structure of the heart and may involve the interior heart walls, the heart valves, or the veins and arteries carrying blood to and from the heart. Some congenital heart defects are mild, creating no symptoms, while others are more serious, even life-threatening, requiring medical intervention immediately after birth. Common congenital heart defects include septal defects, or holes in the heart, patent ductus arteriosus, causing abnormal blood flow between the aorta and the pulmonary artery, heart murmur, and narrowed heart valves. Heart defects generally develop as a baby grows within the womb, about one month after conception. Medications and genetics may play a role in congenital heart defects. Adults can also develop heart defects as the heart’s structure changes with aging. Valvular heart disease refers to damage or a defect to one of the heart’s four valves, mitral, aortic, tricuspid, or pulmonary. Heart valve disease may be caused by a number of conditions including rheumatic fever, infections, and connective tissue disorders. Cardiomyopathy includes diseases of the actual heart muscle causing it to become enlarged, rigid, thick, and sometimes scarred. As the disease progresses the heart loses its ability to efficiently pump blood through the body and maintain a normal electrical rhythm. As a result, heart valve problems, arrhythmias, and heart failure can occur. There are three main types of cardiomyopathy that can occur, each causing the heart muscle to become thickened or enlarged. The cause for heart muscle disease is dependent on whether it is diagnosed, “Dilated”, “Hypertrophic”, or “Restrictive” cardiomyopathy. Dilated cardiomyopathy—Cause may be unknown, but can be related to reduced blood flow to heart, infections, toxins, certain drugs, or heredity. The condition usually dilates the left ventricle. Hypertrophic cardiomyopathy—Condition is usually inherited, but can also develop as a result of high blood pressure or aging. This condition usually causes the heart muscle to become very thick. Restrictive cardiomyopathy—Cause may be unknown, but may also be due to connective tissue diseases, excessive iron build up, or cancer treatments. This type of cardiomyopathy causes the heart muscle to become rigid or less elastic. Preventing heart disease involves reducing risk factors that make individuals vulnerable such as, high blood pressure, smoking, excessive alcohol use, stress, diabetes, obesity, poor diet high in fat/LDL cholesterol, and inactivity. Treatment for heart disease may include lifestyle changes, medicines, surgery, medical procedures, or cardiac rehabilitation. By relieving symptoms, widening or bypassing clogged arteries, reducing risk factors for plaque build up, and lowering the risk for blood clots, physicians and surgeons may help slow, stop, or manage heart disease for patients. Research studies indicate that intensive lifestyle changes maintained over a significant period of time can actually reverse heart disease, especially in patients with coronary artery disease. Individuals participated in a 5-year study, ate a reduced fat, whole food diet, engaged in aerobic exercise, quit smoking, underwent stress management training, and attended a support group. These patients experienced greater regression of coronary atherosclerosis and had fewer cardiac events than the control group (who made only moderate lifestyle changes) studied. Heart disease affects all of us, and while it’s the most common medical condition in the United States, it’s also the most preventable. Taking steps now to make and maintain positive lifestyle changes, is an investment in a healthy heart for the future. 1″Heart Disease Causes – Mayo Clinic”. Mayo Clinic, 2017, http://www.mayoclinic.org/diseases-conditions/heart-disease/basics/causes/con-20034056. 2″Heart Disease Facts & Statistics | Cdc.Gov”. Cdc.Gov, 2017, https://www.cdc.gov/heartdisease/facts.htm. 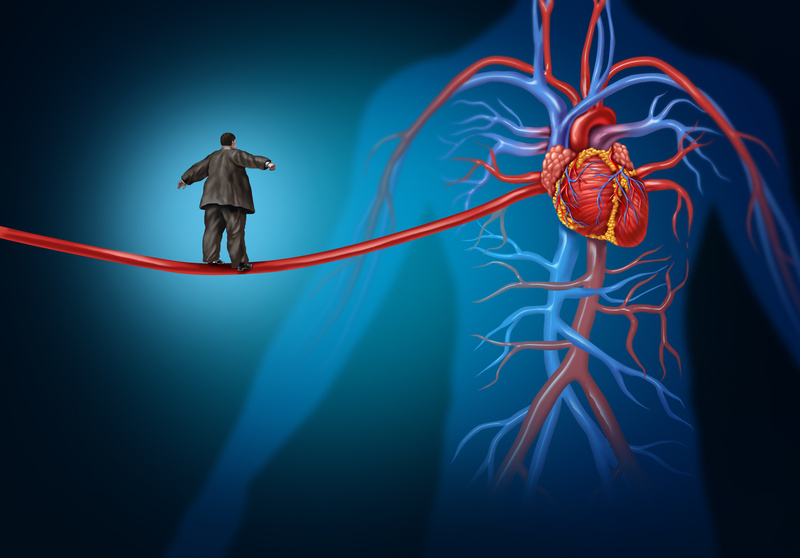 3″How Is Coronary Heart Disease Treated? – NHLBI, NIH”. Nhlbi.Nih.Gov, 2017, https://www.nhlbi.nih.gov/health/health-topics/topics/cad/treatment. 4Ornish D, et al. “Intensive Lifestyle Changes For Reversal Of Coronary Heart Disease. – Pubmed – NCBI”. Ncbi.Nlm.Nih.Gov, 2017, https://www.ncbi.nlm.nih.gov/pubmed/9863851. 5″Symptoms Of Heart Valve Problems”. Heart.Org, 2017, http://www.heart.org/HEARTORG/Conditions/More/HeartValveProblemsandDisease/Symptoms-of-Heart-Valve-Problems_UCM_450832_Article.jsp#.WRyauWU4mb8. 6″What Are Congenital Heart Defects? – NHLBI, NIH”. Nhlbi.Nih.Gov, 2017, https://www.nhlbi.nih.gov/health/health-topics/topics/chd. 7″What Are The Signs And Symptoms Of Congenital Heart Defects? – NHLBI, NIH”. Nhlbi.Nih.Gov, 2017, https://www.nhlbi.nih.gov/health/health-topics/topics/chd/signs. 8″What Is Cardiomyopathy In Adults?”. Heart.Org, 2017, http://www.heart.org/HEARTORG/Conditions/More/Cardiomyopathy/What-Is-Cardiomyopathy-in-Adults_UCM_444168_Article.jsp#.WRykm2U4mb8. 9″Who Is At Risk For An Arrhythmia? – NHLBI, NIH”. Nhlbi.Nih.Gov, 2017, https://www.nhlbi.nih.gov/health/health-topics/topics/arr/atrisk. 10″Who Is At Risk For Heart Valve Disease? – NHLBI, NIH”. Nhlbi.Nih.Gov, 2017, https://www.nhlbi.nih.gov/health/health-topics/topics/hvd/atrisk.